Ahh sweets. I've been in love with all kinds of candies, sweets and cakes. I see to it that I'll be having a slice of this decadent treat after I had my usual dinner or lunch, especially when I'm accompanied with my friends. But cakes has been, and will always been expensive if availing it on an everyday basis. A single slice alone is priced at 50-300 pesos, and the price depends on the quality, the brand and the taste itself. That's why I opt to treat myself on a slice of my favorite cake every other week. Then Metrodeal, the said to be the leading group buying site in the country, has this amazing cake offer from Gerald Brasserie. I heard little about the Gerald Brasserie Bakery that is situated near my office in Chino Roces, Makati. What I like about it is the bakery's cozy atmosphere where you can dine in and relax. But the thing that I like most is their line of cakes itself. Decadent, moist, absolutely baked to perfection. 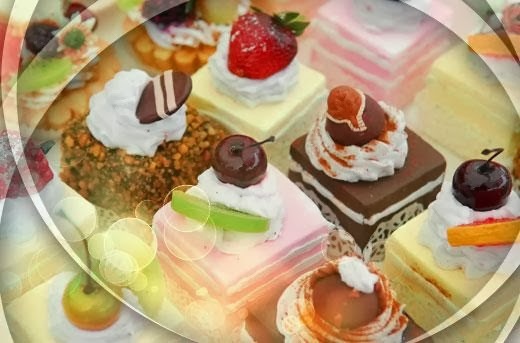 Their cakes may be priced higher, but now the 300 pesos worth of dessert cakes and Iced tea can now be availed for only 180 pesos with the help of the Metrodeal promo. Sounds really cheap right? You bet! I've been searching far and wide about Metrodeal and I'm happy that it's not an online scam site. Though they had some bad reviews posted on different websites from the site's previous merchants (as I heard and searched online), I'm happy that they cater to a lot of customers who are throughly contended with Metrodeal's line of enchanting deals that has amazingly-priced discounts. I bought tons of vouchers from the Gerald Brasserie Bakery deal and availed on it using the printed vouchers that I bought from them. Good thing that the said deal is available on different cakes, namely: Chocolate Pyramid (crunchy hazelnet center), Kenya (coffee mouse, chocolate ganache), Intense Chocolate, Apple Tart (caramelized apples), Tarte Tatin (with meringue), Blueberry Tart, Lemon Tart, Strawberry Cake, Opera, Tiramisu and Framboiser. And to have a glass of iced-cold iced tea and it's one delicious treat. I used the promo with my best friend who hasn't tried the cakes from Gerald Brasserie. She's all thrilled as well for she's also a sweet tooth as well. I'm glad that she loves my personal favorite Tiramisu and Blueberry Tart, for it's so moist, decadent and sinfully delicious. I'm in all tears that she also enjoys it as well. False advertisement on Metro deal!